4.2 What you may not! Even though the market has many mobile phones to offer, the question on whether smartphones are really necessary versus flip phones has always existed. One of the flip phones to consider during your shopping is the Samsung flip phone. Statistics show that both customers and media have veered towards the popular smartphones including iPhone from Apple. However, demand for the regular flip phones is still high, possibly because they are a viable alternative. A quick example: Samsung flip phones are among the highest mobile devices that use more conventional buttons instead of a touchscreen. Most flip phones from Samsung feature built-in keyboards that you can use specifically for texting and they are also more efficient when sending electronic messages. The flip phones also receive better call services with higher quality service providers such as Verizon Wireless. Even though smartphones provide more applications and features, most of the recent flip phones including Samsung SCH-u740 provide adequate call and text functioning. Actually, reviews of Samsung flip phones are above average – their rating stands at over 80% for performance. 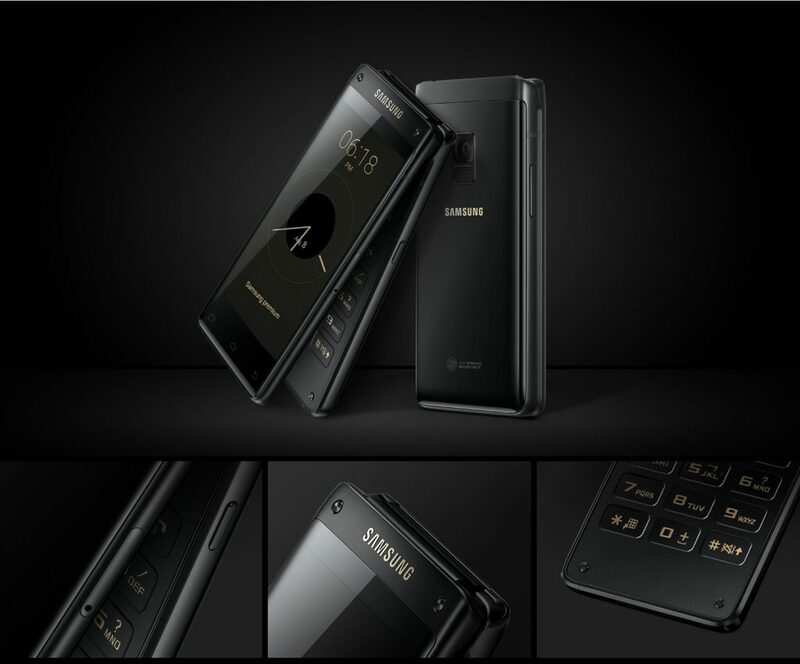 Samsung has already launched another version of its flip phone, known as the SM-G9298/Leadership 8, which looks exciting. Samsung W2016 showcases two 4.2-inch OLED screens, 64GB of storage, a Qualcomm Snapdragon 430 chip, 12MP rear camera, 2300mAH batter and a 5MP front-facing shooter. Those are remarkably good specs considering that most individuals will think about the 2004’s Moto Razr V3 with the 2.2-inch screen, VGA camera, 680mAh battery whenever Samsung flip phone is announced. Samsung announced the W2017 flip phone late in 2016, and they have now released it in Korea – there are no signs of its entry into the UK, US and the Australian market. The flip phones rarely make it outside the Asian markets, which is a bigger shame for individuals in need of a more different thing. The front OLED screen suggests that you will easily interact with the flip phone easily without flipping it out. When using further apps or texting, you will manage to flip the device open and feel the physical click of its top screen locking up into space. The feeling was common with the first generation of Samsung flip phones. Samsung Galaxy Leader 8’S display is another new thing in the market. The enormous screen leverages the aspect ratio and upscale content on display. The WQHD+ display with whopping 522ppi pixel density and 2960x1440pixels will provide better images when watching HDR content on media streaming sites such as YouTube. And even though the manufacturer has not activated the WQHD+ by default, you can do that easily. Simply go to the Setting option, tap on Display and finally Screen Resolution. Now choose the resolution. Tap on to apply. While you can minimise the resolution to 1480X720P (HD+), the difference between the Full 2220X1080p (HD+) and WQHD+ is hardly noticeable on daily use. Possibly, the device maintains the resolution to FHD+ to help conserve processing power. Jargon aside, the Samsung Flip Phone showcases a beautiful display which renders rich and vivid colours in addition to top-notch contrast ratio. Watching any movie or TV show on the device will be a visual treat. Its adaptive display delivers almost perfect legibility when in direct sunlight and the ever changing surroundings. The phone has an in-built Snapdragon 430 chipset that makes its performance credentials doubtful. And even though the device has 4GB of Ram and 64GB of storage, it might not feel like the powerhouse you hope for. Actually, the device works as many affordable smartphones do. And if the slower apps and lesser impressive gaming stand for the price to pay for the Samsung flip device, it is worth your consideration. What’s more, Samsung has not scanted on the top-end features, excluding chipset, with the wireless charging, the fingerprint scanner and the Samsung Pay all onboard. However, the device lacks Galaxy S8’s iris scanner or the Bixby smart assistant. You can live without them though. The Samsung TouchWiz UI has highly improved within the last few years. The device is lighter and fluid. It comes with several pre-loaded Samsung apps, which some people rarely use in the right manner. The only apps people will use regularly include Penup and the Samsung Health. Samsung Health will count your steps, help you keep track of your sleep and measure your heart rate. It will also monitor your stress and Sp02 levels. You will also be able to share on social media and to set challenges with your friends. Utilise the Samsung newest update that has brought voice support for more users. Samsung has put more faith in the device which will compete with other products. Samsung flip phones are compact and can fit in your jeans pockets easily. Like other flip phones, the Samsung flip phones feature solid QWERTY keyboard to facilitate easier access to calling and texting. If you are interested in self-expression, you should note that Samsung flip phones are available in a wide variety of colours including pink and black. You can easily access and download music and some other multimedia benefits on the Samsung flip phones for personal use. Some reviews show that the flip phones feature unreliable cameras with unclear view. The keyboard buttons are small and hard to use when texting. Even though, the battery can last for several hours, the life is shorter compare to that of smartphone competitors. You might take some before getting accustomed to the Samsung flip phones’ screen layout. To allow accuracy, the phones are large. In the United States, Flip phones are synonymous with the VHS tapes and iPod Minis as keepsakes of another era. In other parts of the world, flip phones have remained in line with development of smartphones. The key specifications of the Samsung Flip Leader 8 match those of flagship Android smartphones. The Leader 8 boasts a Snapdragon 821 processor, 4GB of RAM, 64GB of expandable storage and 2300mAh battery. The device features two screens, one on the inner side and the other on the front side. 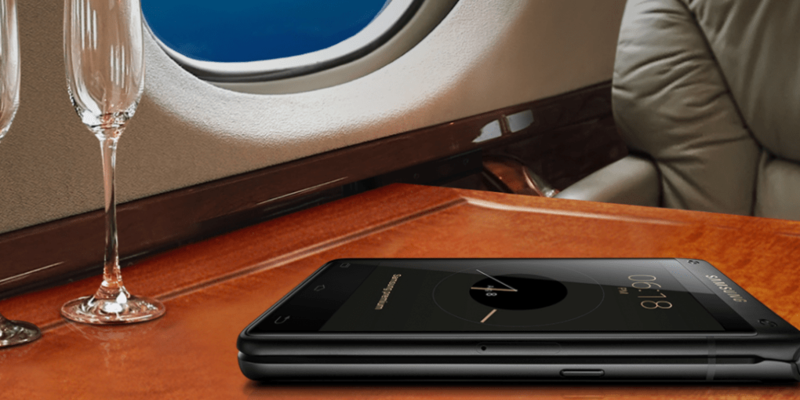 What’s more, the phone supports Samsung Pay and wireless charging.